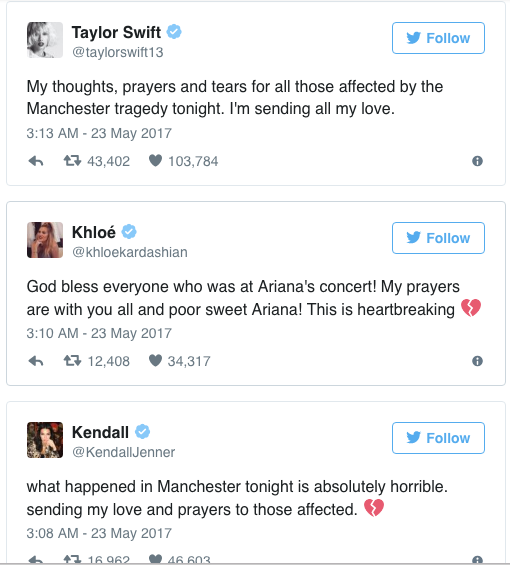 At least 19 people were killed in a reported explosion at Ariana Grande's concert in Manchester, England on Monday night, police said. Nineteen people were killed and about 50 others were injured in the incident, Greater Manchester Police said. 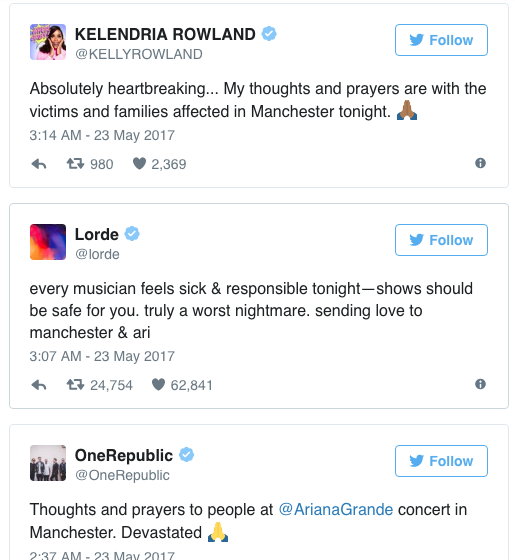 The local North West Ambulance Service said on Twitter that it has "has taken 59 casualties from the Manchester Arena incident to various hospitals" and "treated a number of walking wounded on scene." Witnesses described a chaotic scene as concert-goers fled the arena when they heard a "loud bang" shortly after the concert ended, according to the Manchester Evening News. "We saw the smoke. Everyone just fled. Some people were injured. We saw blood on people when we got outside. People were just running all over the place," David Richardson, who was at the concert with his 13-year-old daughter Emily, told the Evening News. 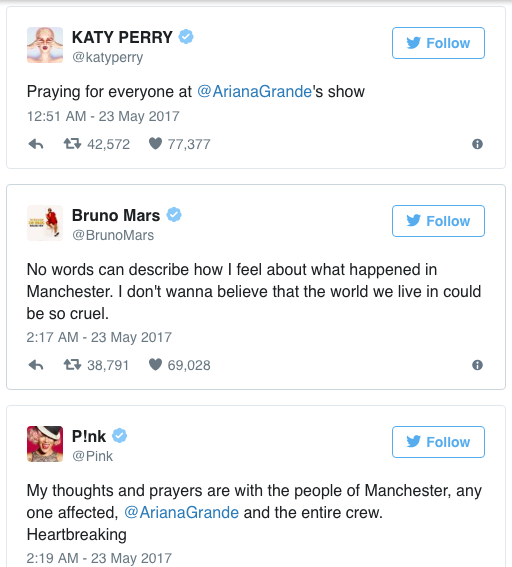 Police received reports of an explosion at Manchester Arena just before 10:35 p.m. local time. The arena — located in the northern English city of Manchester — has a capacity of 21,000 and attracts more than one million people each year, according to the venue's website.